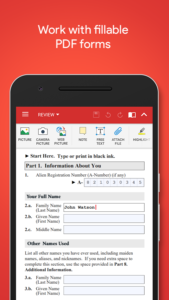 Intro: OfficeSuite lets you view, edit, and create Word, Excel, and PowerPoint compatible documents and perform advanced PDF operations like filling forms and signing. It also includes support for most popular document formats. 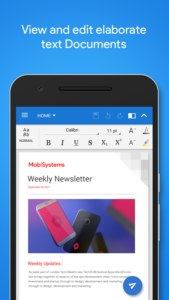 Complete with integrated file manager, this is one of the most feature-rich mobile office solution available on Android. – MobiSystems Drive – Performance improvements and support for file versions. – PDF – Use your image signatures created in OfficeSuite for Windows PC. – UI enhancements – Support for notched devices. – Convert and open files created with Apple Pages, Numbers, or Keynote apps. – Integrated spell check in Spreadsheets and Presentations. – Filter Web images on size, type, colour and licence. – Create shortcuts to your favourite files and folders on the device Home screen. 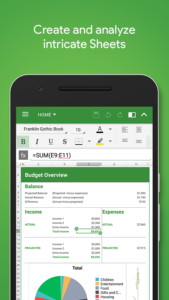 – Insert and delete entire cell ranges for advanced spreadsheet editing.